Formulated with Dry Bacteria and Enzymes. 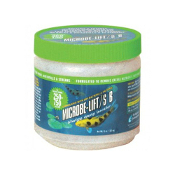 Microbe-Lift/SAB, with selected microorganisms and enzymes, is designed specifically to achieve clear water conditions in ponds where the desired water quality has not been achieved by other treatment methods. 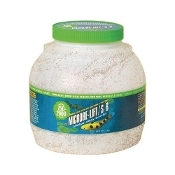 Microbe-Lift/SAB helps speed the biological oxidation of organics and the elimination of excessive nutrients that are the root cause of poor water quality, thereby enhancing quality and eliminating cloudy, solids laden and discolored water. 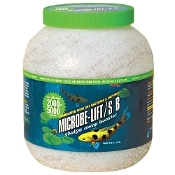 Use Microbe-Lift/SAB when excess debris forms on waterfalls and in ponds or streams to speed organic waste removal.